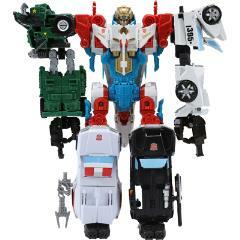 Transformers Unite Warriors figure of Lynxmaster is 5 bots in one! 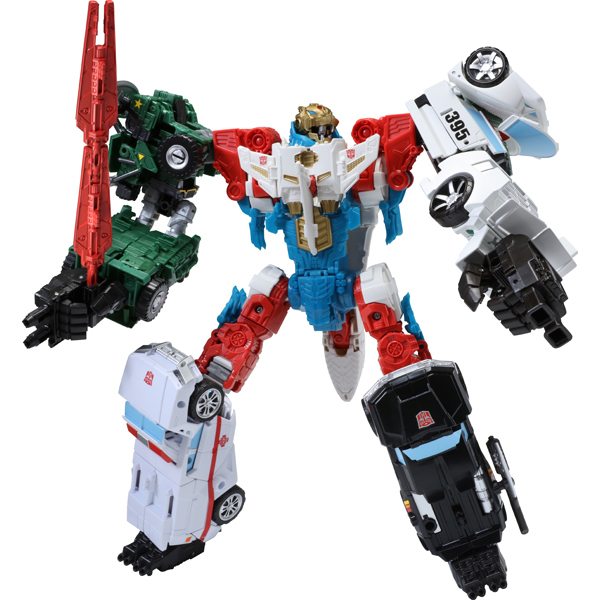 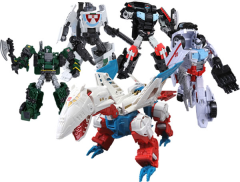 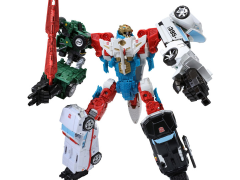 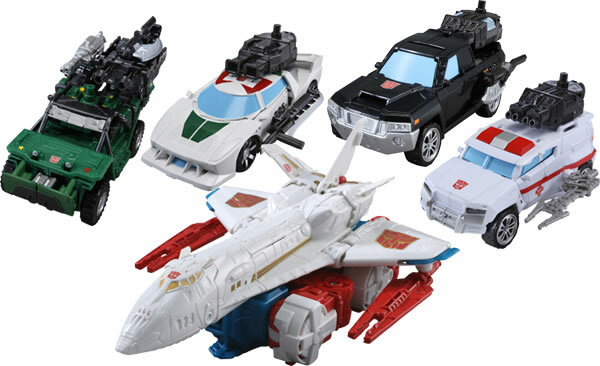 This set includes Voyager Class Sky Lynx who becomes the torso, Deluxe Class Wheeljack and Hound who become the arms, and Deluxe Class Trailbreaker and Ratchet who become the legs. 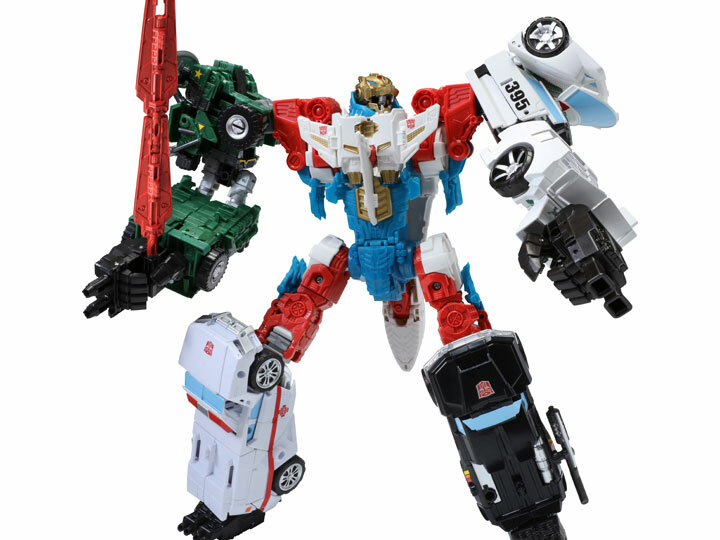 Each articulated figure transforms from robot mode to vehicle and combine into a componenet to form the giant Lynxmaster! Each figure includes its own weapon, along with one weapon and a pair of feet and hands for combined mode.